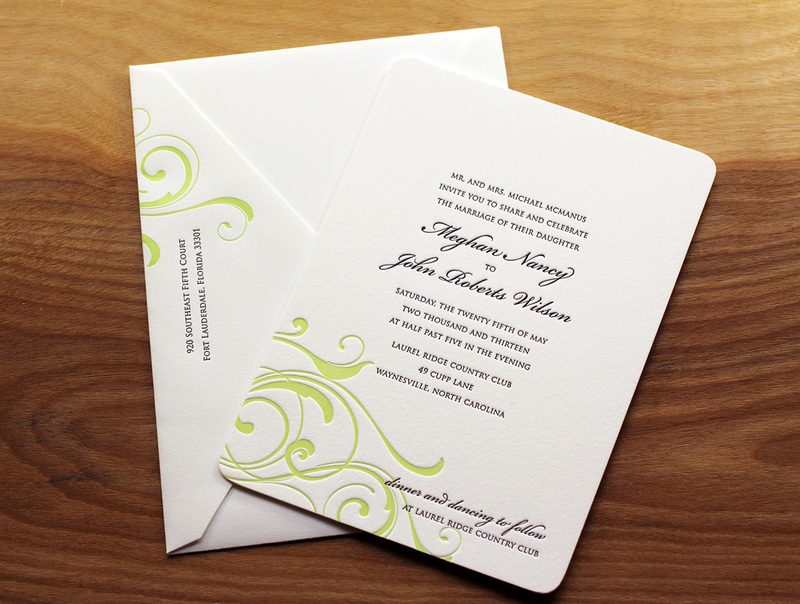 Meghan and John knew they wanted letterpress invitations for their wedding, and had even seen Parklife's work before — a friend of theirs worked with Travis and used a similar invitation design. So when it came time to plan their wedding, they were a step ahead. Based on Whirl, the design features a conventional text layout with an off-center design bleeding off the corner. 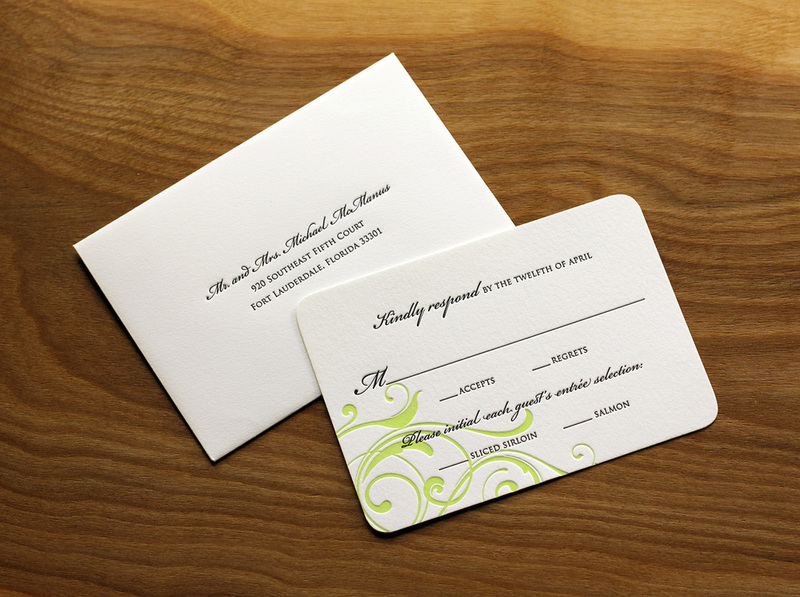 The motif is also repeated on the main envelope flap, as well as the RSVP and events schedule cards. 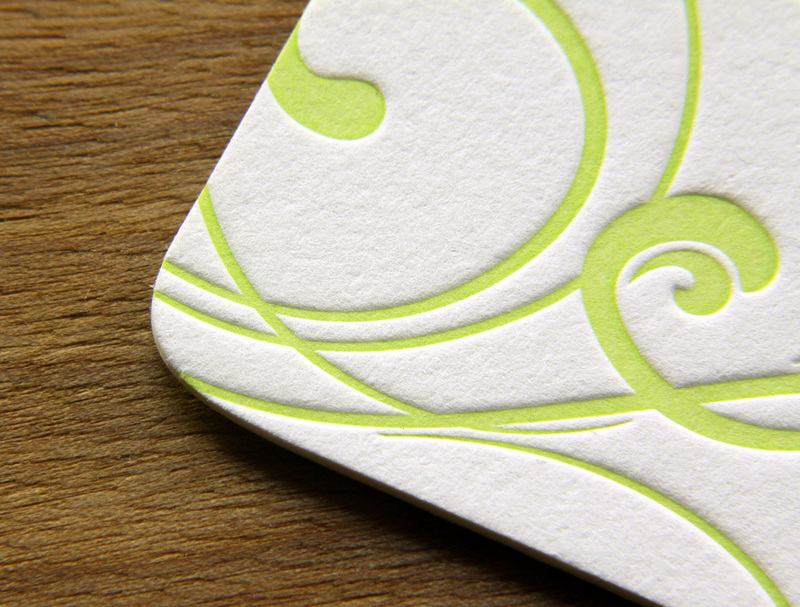 The swirly motif, when printed in pale lime ink, becomes springy and botanical, perfect for a late-spring wedding. 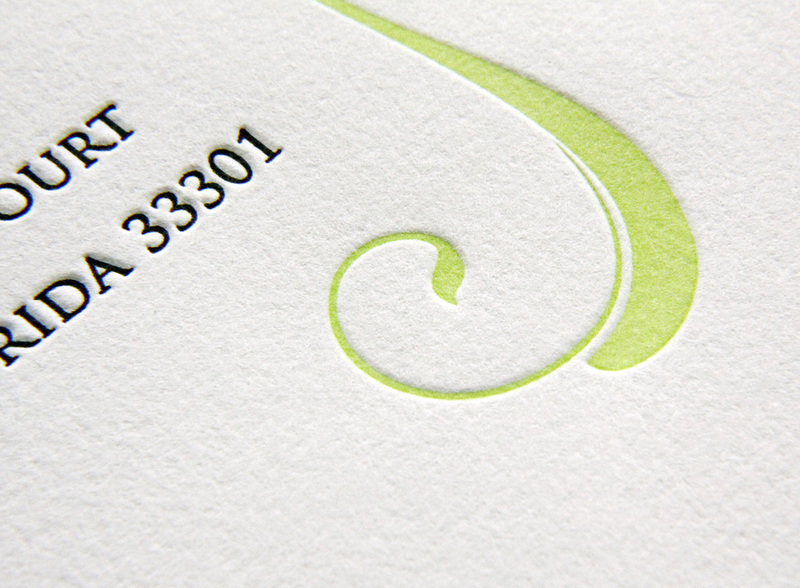 Posted in wedding invitations and tagged with pearl white, 600g, rounded corners, black, pale lime, Whirl. October 2, 2013 by Sarah Arneson.